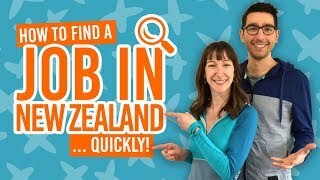 Walks in and around Palmerston North. If you like using your own two feet then Palmerston North is the perfect hub for you! The city is completely surrounded by various reserves and parks connected with walking tracks. There are hikes around Palmerston North for everyone, from tough full-day tramps to the top of the Ruahine Ranges to the easy 15-minute loops providing a good excuse just to see something new. The region of Manawatu-Wanganui that surrounds Palmerston North is scattered with native forests, exotic forests, beaches, hills, mountains and rivers. There’s plenty to see and hiking is the perfect combination of seeing and doing! Plus, all these walks are free! 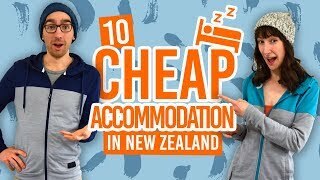 The hikes around Palmerston North listed below are mostly walks only accessible by your own means of transport, however, we have listed a few walks that can easily be walked to from the city centre. 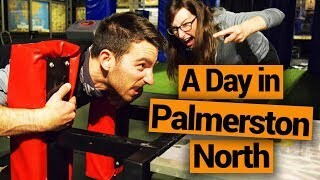 Check out Palmerston North – Guide for Backpackers to see more things to do within the city. Delve into the forests of Manawatu Gorge on this long walk near Palmerston North. The 10km track is a one way track so either give plenty of time to return or organise return transport with the Palmerston North i-SITE. Enjoy several viewpoints of the gorge and river along the way, as well as the impressive Maori statue. Location: 15 minutes from Palmerston North. State Highway 3, Ashhurst. Start from the large car park on the left just before entering the gorge. A shorter hike in the Manawatu Gorge, the Tawa Loop Track is a moderate-difficulty walk alongside streams and in the forest. See the Maori warrior sculpture and watch the birds flutter around you. Just a snippet of the Manawatu Gorge, the Totara Loop Track is an easy one over boardwalks with interpretation plaques made by local children. Location: 20 minutes from Palmerston North. Take State Highway 3 all the way to Ballance Bridge. The walk is just over the bridge. This 10km riverside path has multiple entry points making it as long as a walk as you want it to be. The shared pathway can be cycled or walked, taking in the scenery of the Manawatu River, as well as being a scenic way to visit various parks along the way. Location: Only 5-10 minutes from Palmerston North. Various entry points include: Te Mata Road, Albert Street, Centennial Drive, The Esplanade and Maxwells Line. The track is just a 5-10 minute drive from the city centre. There’s a lot on offer in the little town of Fielding and one of those things is this delightful stream-side walking track between Kitchener Park and Kowhai Park. Although mostly a gravel track, some of the walkway turns into boardwalks. 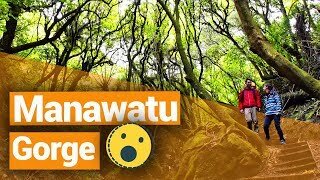 It’s a super easy walk but well worth it when looking to see a new area of the Manawatu-Wanganui region. Location: 40 minutes from Palmerston North. Kawa Kawa Road, Fielding. 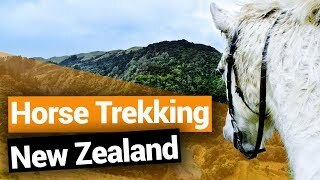 An easy walk in the Pohangina Valley which is a great introduction to the wild. Take your time to marvel at the large rata tree, as well as a stand of kahikatea and rimu. Finally, soak in the views of the Pohangina Valley. Location: 40 minutes from Palmerston North. Take the Pohangina Valley East Road, Pohangina. The track entrance is on the left approximately 1km past Arbon’s Road. Situated in the stunning Totara Reserve, this 5km track is tucked away on the Pohangina Valley. Walk among the region’s most ancient remnants of native forest where native birds are often seen and heard. This is a moderate walk so be prepared with suitable hiking shoes. Location: 40 minutes from Palmerston North. Totara Reserve, Churchill Drive, Pohangina. Another hiking option in the Totara Reserve is the Pettifar Loop Track and the Gilchrist Loop Track. Both emcompass the stunning native forest and native birds of the Totara Reserve taking you down a series of terraces to the Pohangina River. The tracks start off as the same track then branch off to form their own loops. Location: 35 minutes from Palmerston North. From Ashhurst, drive north along Pohangina Road then turn right at Raumai onto Pohangina Valley East Road. Signposts point to the walks. Another great native forest loop walk in the Manawatu-Wanganui region! This place has been left untouched so hikers and birds alike can enjoy the forest. Location: 1 hour from Palmerston North. Reserve Road, Rangiwahia. (The end section to get to the walk is down a gravel road). For epic views across the hilltops of the Ruahine Forest Park, take this popular hiking track to the Rangiwahia Hut which sits above the treeline. You’ll hike through bush clad hills to the hut then across the exposed tussock landscape. Location: 1h10mins from Palmerston North. Renfrew Road end, Rangiwahia. How much you complete of this track is entirely up to you as there is plenty to see along the way. The Sledge Track starts off easy passing waterfalls and swimming holes, as well as rock formations along the river. About 30 minutes into the walk, the track steepens heading up to the Elevation (about 1h30mins into the walk). Then walk to the Platinum Mines (3 hours in) and past a number of old mineshafts and taking in some awesome scenery. Location: 25 minutes from Palmerston North. 897 Kahuterawa Road (at the road end), Palmerston North. This former logging road features a picture-perfect arched wooden bridge over the narrow Umutoi Creek gorge then continues through beech forest to a heritage lodge offering spectacular views of the Oroua River. Location: 1 hour from Palmerston North. Tabel Flat Road End, Apiti. One for the more experienced hiker who likes to bag their peaks. This is a steep and often muddy track through forest to the exposed rocky mountain-tops of Maharahara (1095m). Note that the track is closed during September-October for the lambing season. Location: 45 minutes from Palmerston North. Opawa Road, Pohangina. A couple of hiking options are available on the Deerford Track. From the car park, follow the fenceline to Coal Creek then it’s a short climb to the plateau meeting the Deerford Track. You can then loop back to Coal Creek again taking 2-3 hours total. Alternatively, just prior to the creek is a fork in the track where the left becomes the Knight’s Track (up to the summit) and the right is the steep Diagonal meeting Short’s Track. The Deerford-Diagonal-Shorts Tracks’ loop would take 4-5 hours. Location: 1h30mins from Palmerston North. Car park at Limestone Road end, Apiti. For a bit of creek action, check out the Beehive Creek Walkway. Cross farmland to the creek and return the same way. Note that the walk is closed between 1-August and 31-October for lambing. Location: 45 minutes from Palmerston North. Pohangina Road, Pohangina. A steep climb most of the way, the Purity Hut track is one for determined hikers. Hike above the treeline of the Hikurangi Range to this hut with excellent views of the surrounding mountains. Note that you will need walking access permission for this track. Contact the Department of Conservation (06 350 9700) to get the landowner’s contact details. Location: 1h45mins from Palmerston North. Mangakukeke Road, Mangaweka. A great place to come for a picnic, the Paengaroa Scenic Reserve Walk takes you over the Hautapu River to an area surrounded by unique and rare vegetation. Location: 1h30min from Palmerston North. Along Mataroa Road turn right before the Mataroa School and cross the railway bridge to the car park. Mataroa Village. A simple track through lowland forest to get spectacular views of Mangaweka village, the Ruahine Ranges and the cliffs along the Rangitikei River valley. Location: 1h45min from Palmerston North. Te Kapua Road, Mangaweka. An easy track making a figure of eight so you can cut the walk short or complete the whole loop. Walk through a large archway memorial dedicated to the conservationist, Robert Cunningham Bruce, into the forest. Location: 45 minutes from Palmerston North. Silverhope Bush Road, Hunterville. Follow the Alice Nash Memorial Heritage Lodge track (see point 12) and continue to a side track following the Oroua River to the Iron Gate Hut. Be prepared for several steep climbs and descents. Location: 1 hour from Palmerston North. Petersons Road end, Apiti. Follow an old road which was closed in the 1960s called Branch Road to Ridge Road where the track descends into open farmland with views. Then cross into native forest then exotic pine forest before exiting onto Kuku Road in the Pohangina Valley. Location: 30-40 minutes from Palmerston North. Ridge Road, Pohangina Village. There are a number of walks that can be done on 4×4 tracks in the Waitarere Forest, however few are signposted. A popular track is from Waitarere Beach to the Foxton Estuary taking you through the forest. Bikes are permitted on these tracks too. Location: 50 minutes from Palmerston North. Waitarere Beach Road, Waitarere. A popular walk which provides an alternative access to the Totara Reserve by foot or by bike. Walk through the Kohitere Forest up to the trig providing awesome views of the South Island, Kapiti Island, Mt Taranaki and Mt Ruapehu on a clear day. Location: 40 minutes from Palmerston North. Denton Road car park, Levin. Walk through lowland forest where copper was once mined. There are plenty of picnic tables along the way so make the most of it. Location: 55 minutes from Palmerston North. Coppermine Road, Woodville. There are a variety of walkways in the Ashhurst Domain through native bush, along the Manawatu River, and with views over conservation wetlands. Location: 15 minutes from Palmerston North. Cambridge Avenue, Ashhurst. Loop around this 2km sheltered bushwalk with the sound of tui echoing through the trees. There are multiple short side tracks for some more exploration. The Mt Lees Reserve also has barbecue facilities so spend the afternoon the Kiwi way! Camping is also permitted. Location: 20 minutes from Palmerston North.